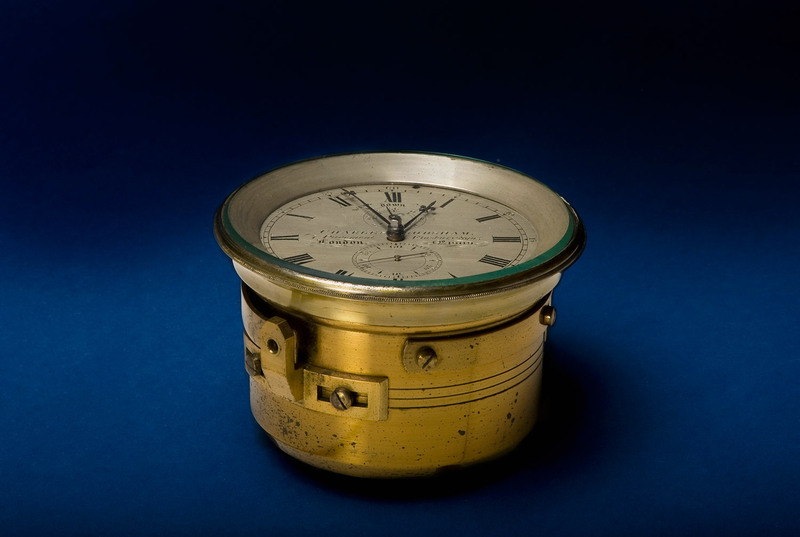 Captain Charles Wilkes spent a small fortune acquiring navigation equipment for the U.S. Exploring Expedition. He outfitted the expedition with 28 marine chronometers, 12 sextants, a library for each vessel, and many other astronomical and meteorological instruments. The chronometers Wilkes purchased came from the finest English makers, and their work is represented here in timepieces similar to those used on the expedition. The actual instruments used on the expedition were returned to the U.S. Navy and dispersed. 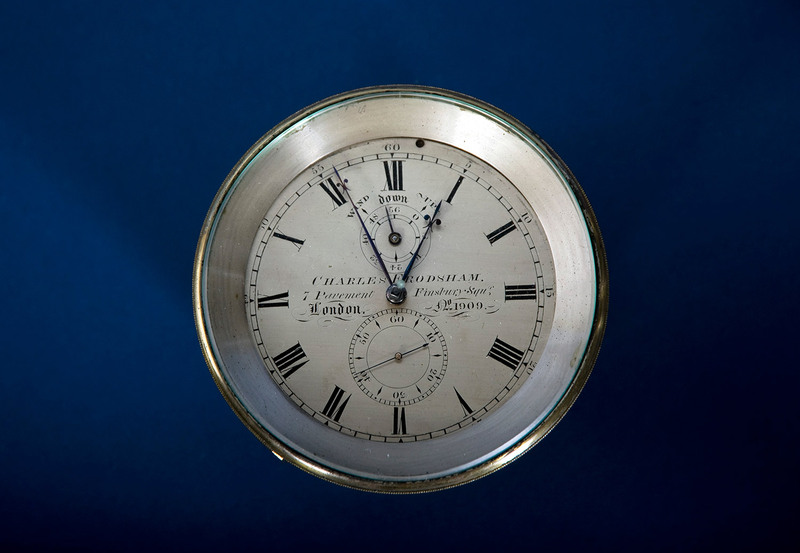 Chronometers like this one by Charles Frodsham were used on the U.S. Exploring Expedition (1838-1842).